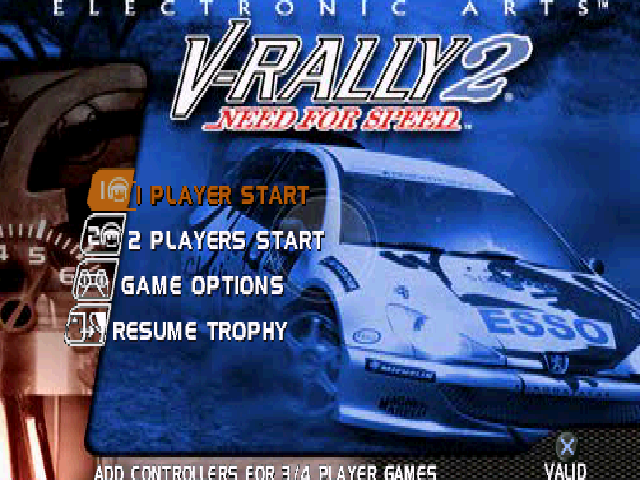 A game that about rally. 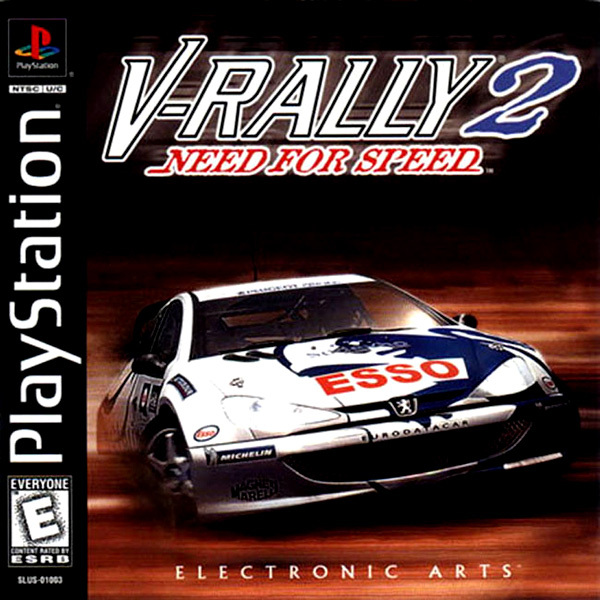 One of the Need For Speed's oldest but the best racing game. 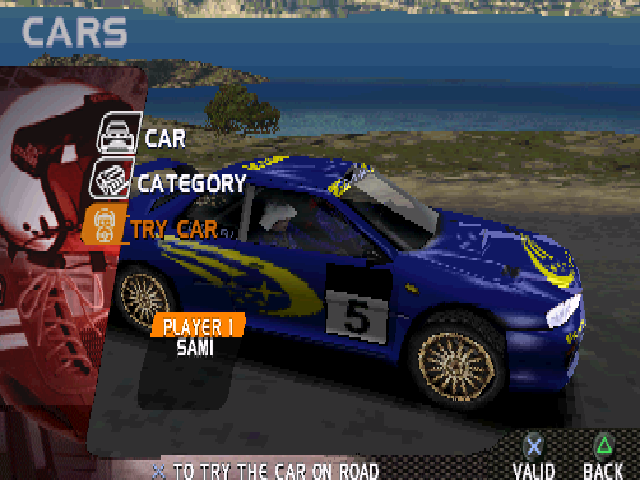 It can be played with 2 players, but if you want, you can play it with 3-4 players with multitap. 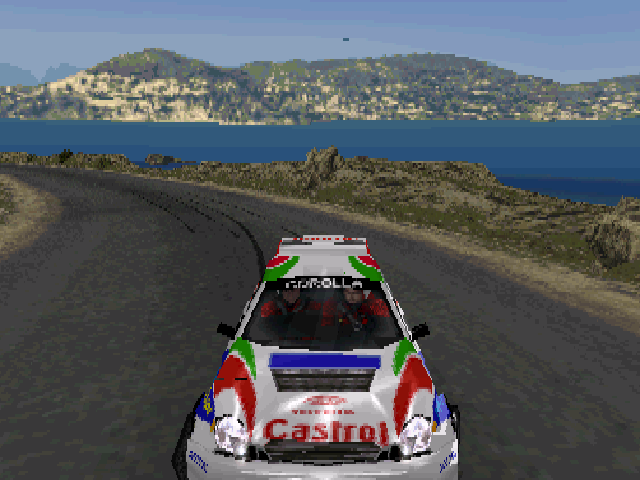 It has so many cars and maps. 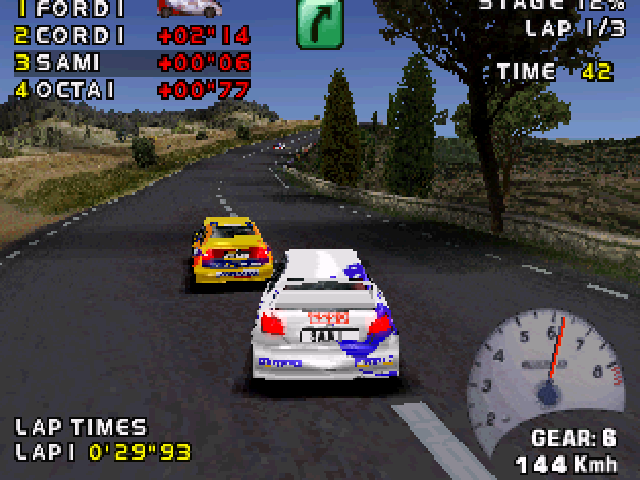 If you complete some game levels, you can unlock the bonus cars. 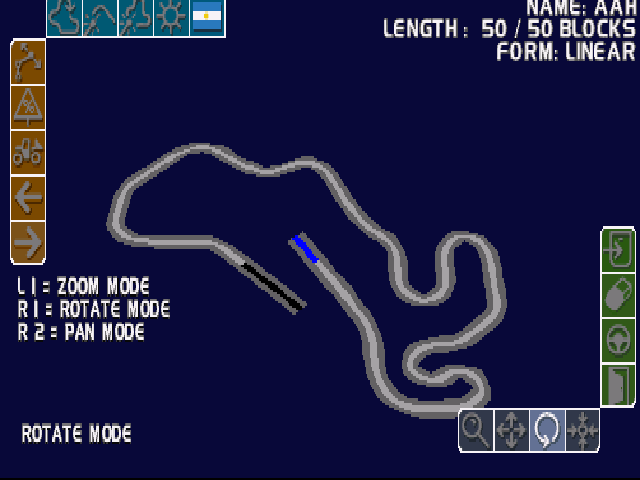 Or if you want more maps, you can make your own track. 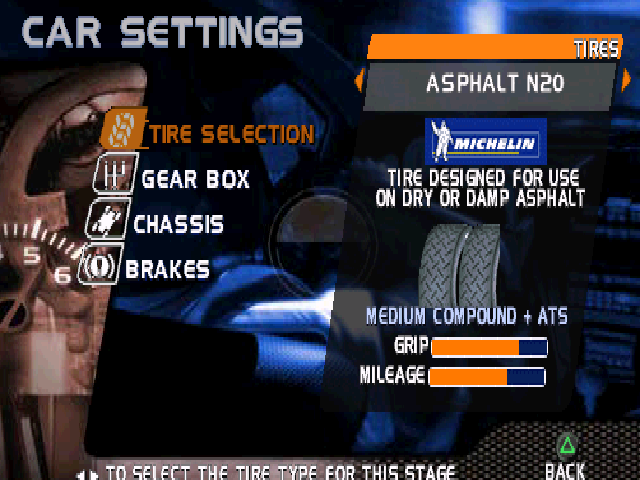 You can adjust the car settings like tire, car heigh, brakes and more! It has so much levels so you'll never get bored! Now you can add videos, screenshots, or other images (cover scans, disc scans, etc.) for Need for Speed - V-Rally 2 [NTSC-U] to Emuparadise. Do it now!